Software compatibility: OBS Studio (windows,OS X); Windows Media Encoder (Windows); Adobe Flash Media Live -Encoder (Windows, OS X); Real Producer Plus (Windows); VLC (Windows, OS X, Linux); QuickTime Broadcaster (OS X); QuickTime Player (OS X); Wirecast (Windows,OS X); vMix(Windows); Potplayer(Windows)and etc. HDMI TO USB 3.0 - Based on the high speed USB 3.0 technology, It can capture one signal channel HD HDMI video signal. 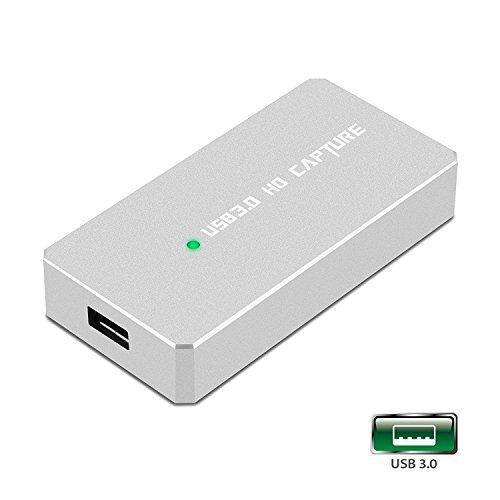 Suitable for devices with HDMI output such as blu-ray player, PS3/4, Xbox one , Wii U etc.